It was a warm evening in January 1977, and Martin Bartlett was about to say goodnight to his sister. 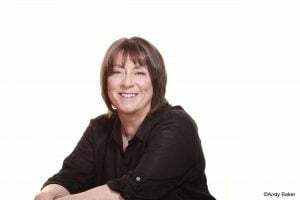 Susan Bartlett was living in a small terrace house in the scrappy inner-city suburb of Collingwood, Melbourne, sharing the place with her long-time friend, Suzanne Armstrong, and Suzanne’s young son, Gregory, and Martin often stopped by. That particular night, Martin had been fixing Susan’s stereo, and after a home-cooked meal and a pleasant evening of music and conversation, Martin headed home. As Martin would later recall, nothing seemed amiss as he left: Gregory was asleep in his cot, and the two young women were watching The Sullivans on television. Yet that night – January 10th – was the last time Martin would ever see his sister and her housemate alive. Just a few hours after Martin left the cosy cottage on Easey Street, Susan and Suzanne were killed, brutally. After concerned neighbours alerted the police three days later, the rest of Easey Street could do little but look on in horror as police swarmed the women’s home and emerged with their bloodied bodies on gurneys. Little Gregory, miraculously unharmed, was rushed to the local children’s hospital, but his mother and her friend had been savagely stabbed, collectively, a staggering 84 times. As the dreadful news of the frenzied murders began to spread like wildfire throughout Melbourne and the rest of the country, a team of detectives from Victoria’s Homicide Squad opened an inquiry, and a series of forensic experts were enlisted to collect evidence from the house on Easey Street. There was blood to test, fingerprints to collect and footprints to trace, and investigators working the case thought it would be solved in no time. But despite all the evidence and the long list of suspects eventually drawn up, Susan and Suzanne’s killer was never found, and the Easey Street murders remain one of Victoria’s most notorious cold cases. Why were there never any truly viable leads, even after a $1 million reward for new information was offered in January 2017? Was the investigation mishandled from the start? And now, more than 40 years on, is there still any hope that the killer might be caught and justice finally achieved? 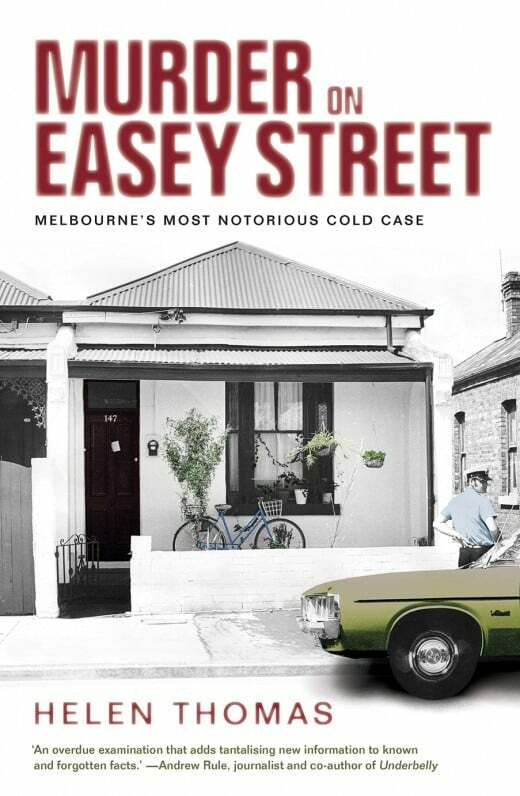 From veteran journalist Helen Thomas, Murder on Easey Street is a compelling, moving and meticulously researched study of one of Australia’s most disturbing unsolved crimes. Thomas, a young reporter at Melbourne’s The Age at the time of the murders, saw first-hand how the violent crime shook the city to its core. After spending months researching Easey Street in 2005 for ABC Radio National’s investigative documentary program, Background Briefing, Thomas commenced a more detailed exploration of the case several years ago, and the result – this book, Murder on Easey Street – is profoundly powerful. Introducing us first to Susan and Suzanne, who met as children in small-town Victoria, Murder on Easey Street paints a poignant picture of two vibrant, intelligent young women, forging their way in the world. Susan was a Beatles fan and a high-school teacher, Suzanne loved sparkly clothes and overseas travel. Together, they balanced each other out, and their home on Easey Street was a happy one. Thomas talks to the neighbours of the two women, describing in detail what each person knew, saw or heard. Particularly gripping is a new lead that Thomas chases over the course of the book, involving the potentially vital eye-witness account of an elderly neighbour that was poorly recorded in the original investigation. Thomas also interviews a number of key detectives, and recounts the stories of friends, acquaintances and suspects as a portrait emerges of a case frustratingly rife with ambiguities, contradictions and missed opportunities. Thomas’s moving interviews with the women’s family members serve as a stark reminder of the long-reverberating effects of losing a loved one in particularly horrific circumstances. Susan Bartlett’s mother died at the age of 61. The murders ‘just killed her in the end,’ according to her son, and Gregory Armstrong still mourns his mum Suzanne, even though he can’t remember her. Told with Thomas’s signature journalistic rigour, Murder on Easey Street asks hard-hitting questions about the flawed nature of the initial investigation, while also revealing new leads and exploring sophisticated DNA analysis techniques that may open up other lines of enquiry. Thomas is genuinely invested, and it shows in the depth and breadth of her research. Ultimately, though, what stands out most about this book is its immense compassion and respect for both the victims and their families. As emotional as it is forensic, Murder on Easey Street is a tribute to two bright young women taken too soon – and a clarion call for justice on their behalf. A great true crime read. Helen Thomas has been a journalist for more than forty years. In 2005, Thomas spent months researching the Easey Street murders for Radio National’s Background Briefing, shedding new light on the investigation. She is the manager of ABC News Radio and author of five books, including Moods: The Peter Moody Saga (2016). Buy a copy of Murder on Easey Street here.